Two months have passed since a dreadful torrent washed away several places in the Shitada district. Most of the devastated areas have been restored, but there are still many places along the mountainous roads and rivers that have not been. Full restoration will take more time. We’ve had enough natural disasters. In Japan, everywhere, except Hokkaido, experiences “the rainy season” before summer. Traditionally, we have had very steady rain during that time. We have also tended to get our fair share of typhoons in summer and fall. These rains have made our country rich in water and crops. However, recently, it never rains but it pours. 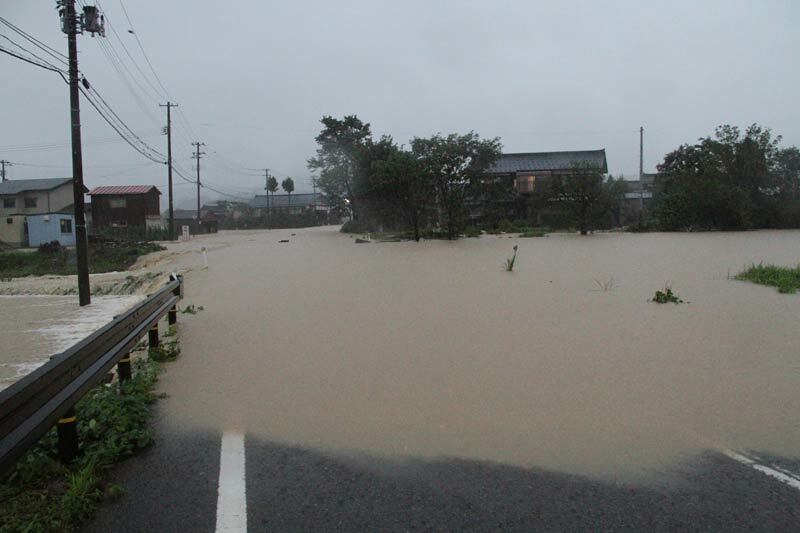 This week, another big typhoon, the second in a month, rampaged through Japan. 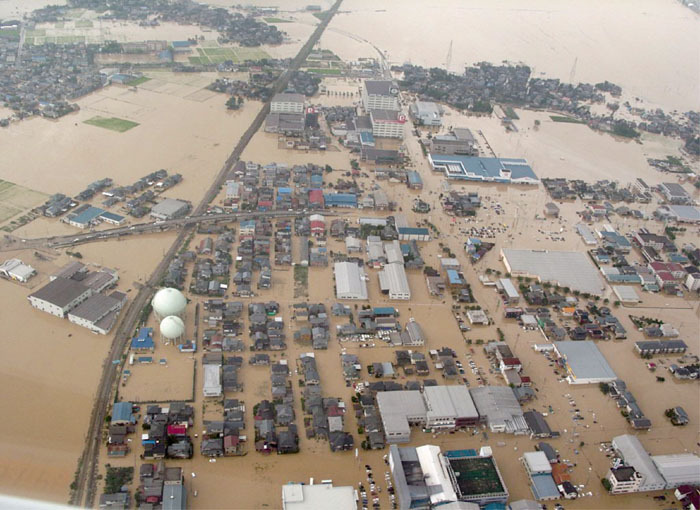 It is now common to read in the reports of the Meteorological Agency phrases like “the most powerful typhoon on record,” “the warmest day/summer/year on record,” “the largest storm in recorded history,” and so on. 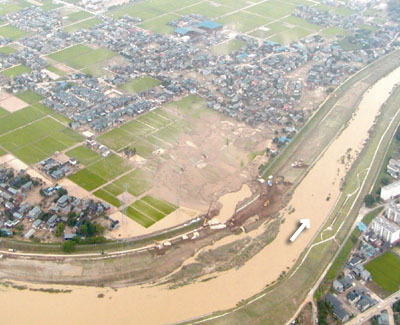 The Ikarashi River in Sanjo City, famous for its beauty, was believed to have been rendered harmless after its banks were reinforced following what was believed to have been a 100-year flood that damaged large portions of my hometown seven years ago. However, on July 31, we experienced rainfalls so heavy that even this new infrastructure was overwhelmed and the overflow again destroyed many houses, buildings, roads and even the terraced rice paddies that I mentioned in a previous blog. “A natural disaster strikes when people lose their memory of the previous one” is an often quoted Japanese saying. These days, with the last disaster still fresh in our minds, another one comes without mercy. If these recent abnormal weather patterns represent my country’s new normal, then we truly need to learn how to live with disasters. 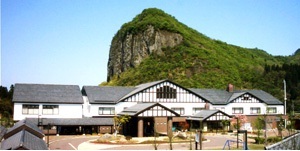 These pictures show Sanjo City in 2004. Kiyo ICHISHIMA. Picture Window theme. Powered by Blogger.